Palmer's GP2 championship victory in 2014 put him front and centre for F1 drives in the future, particularly given the backing of his father Jonathan - former racer and UK circuit owner. After a brief test with Force India, Jolyon was confirmed as the reserve driver for the Lotus team for the 2015 season, and after the departure of Romain Grosjean, he was promoted to a race seat for 2016 and 2017. 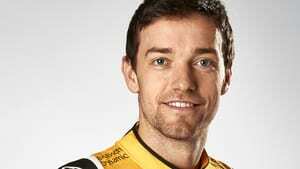 Jolyon Palmer had an early taste of the world of motorsport with father Jonathan Palmer racking up an impressive career of racing, broadcasting, circuit owning, and running several motorsport championships. Jolyon was quickly into kart racing, moving up to UK T-Cars, Formula Palmer Audi (created by his father), Formula Two, and then GP2. Palmer impressed straight away in GP2, finishing in the top ten for his first race. He plugged away for four years before winning the championship in 2014 with several races to go before the end of the season. On the basis of his success, he was given a drive at the final two day Formula One test for the Force India team. Following a successful test, Jolyon confirmed he was aiming for a full time race drive. Ahead of the 2015 season he was signed to the Lotus team as reserve driver for the season, making his debut in the Barcelona pre-season testing. When Romain Grosjean departed for the new Haas F1 team, Lotus signed Jolyon to the race team to make his official F1 debut in 2016. It was a topsy turvy year for the Brit, but he started to make progress towards the end of the season and finished a highlight tenth place in Malaysia, picking up his first points of the year. He earned a second year with the squad for 2017.